The White House announced today action against sanctuary cities, saying that states and local jurisdiction must prove compliance with immigration law before they can be eligible for $4.1 billion in Department of Justice grants. 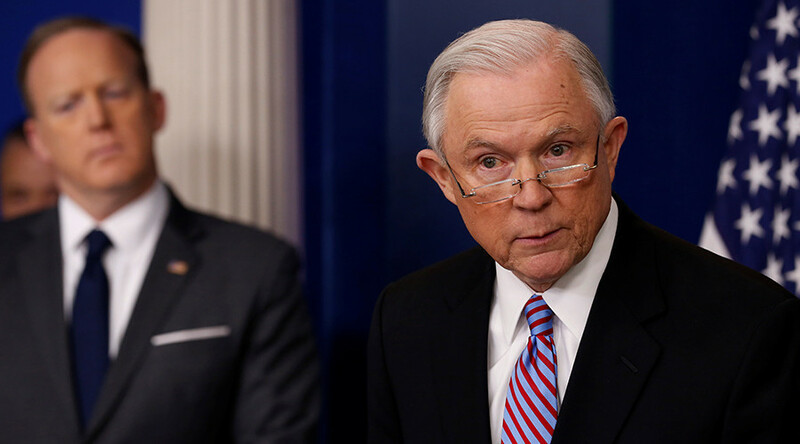 Jurisdictions must certify compliance with Section 1373 before they can be eligible for DOJ grants, Attorney General Jeff Sessions told reporters at the White House on Monday. That law regulates communications between agencies and the bureau of Immigration and Customs Enforcement (ICE). The decision is in line with President Donald Trump’s executive order from January, stepping up enforcement of existing US immigration laws. It is also in line with guidance issued by the Obama administration in July 2016 that cities that refuse to comply with Section 1373 will no longer be eligible for the Edward Byrne Justice Assistance Grant Program (JAG) and the State Criminal Alien Assistance Program (SCAAP) grants. The DOJ will “claw back” grants to jurisdictions that do not comply with the law, Sessions said.